A perfect storm of conditions, but especially a hiring freeze within the state’s judicial system and a still sagging economy that has many people seeking various forms of relief through the courts, has created a huge bottleneck that is in many ways limiting access to justice across Western Mass. The planned closing of Westfield District Court, a step being fought by judges, lawyers, and state legislators, would make a difficult situation much worse, but even if that facility stays open, there appears to be little light at the end of this tunnel. 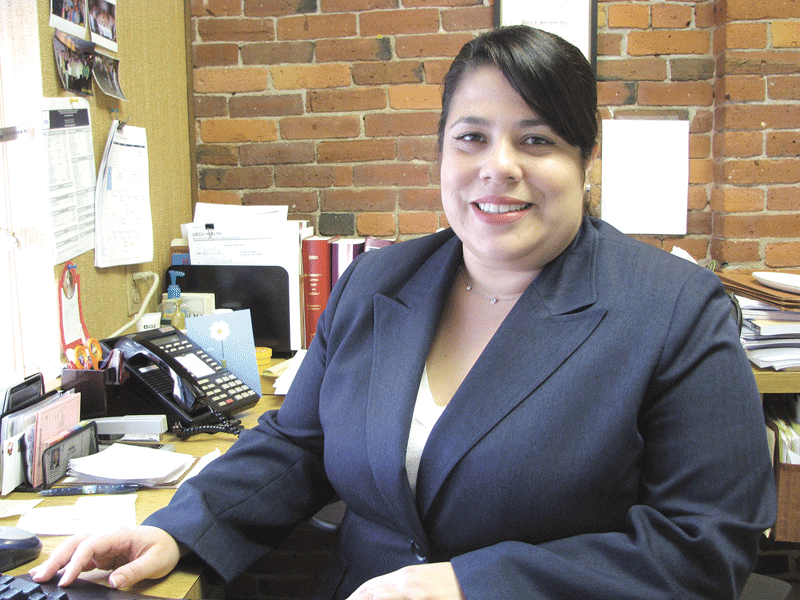 Diana Sorrentini-Velez says the bottlenecks in the area’s courts force justice seekers into a waiting game she compared to purgatory. 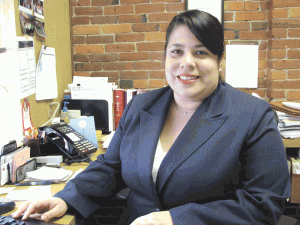 Diana Sorrentini-Velez was searching for the right words to sum up, or put into context, what the worsening bottleneck within the region’s judicial system — especially in Probate Court and District Court, where most of her work takes place — means for her clients. And she managed to find several poignant ways to qualify the problem. And not knowing is the worst. Tom Kenefick says the region’s courts are in crisis, and will continue to be in that state until they are adequately funded by the state. 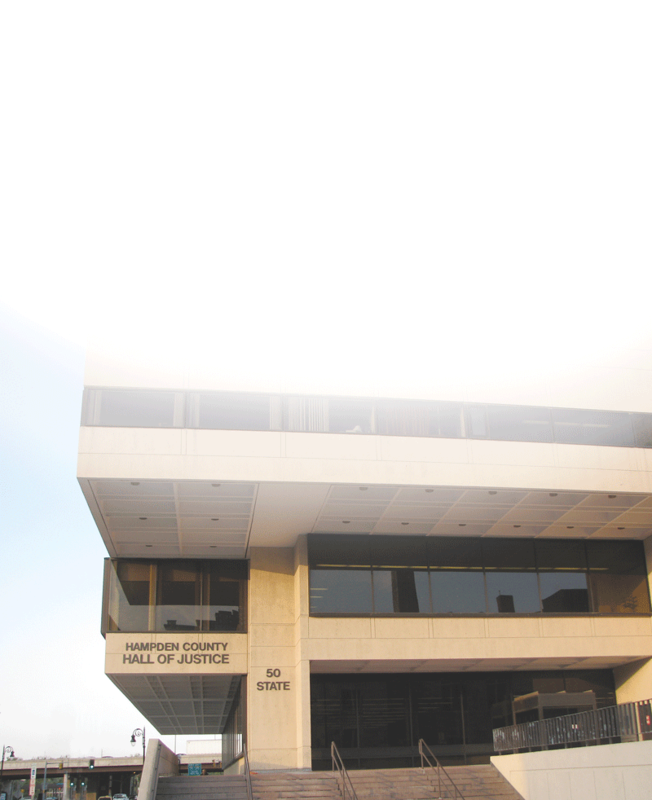 With those and other colorful statements, area attorneys tried to put into words their sentiments about a judicial bottleneck fueled by state budget cuts, a hiring freeze within the judicial system, and economic conditions that are only making the courts that much busier. Things are as bad as most people can remember, and the situation is almost certain to get worse before it gets any better. Especially if the Westfield District Court is closed, as Robert Mulligan, chief justice for Administration & Management (or CJAM, as he’s called), intends. The closing is being fought on many levels and by many people, said Kenefick, adding that shuttering the facility will force people to drive longer distances to find justice and probably wait longer for it in the long run. Kevin Maltby says judges are doing the best they can given the circumstances, but they can’t be in two places at once. 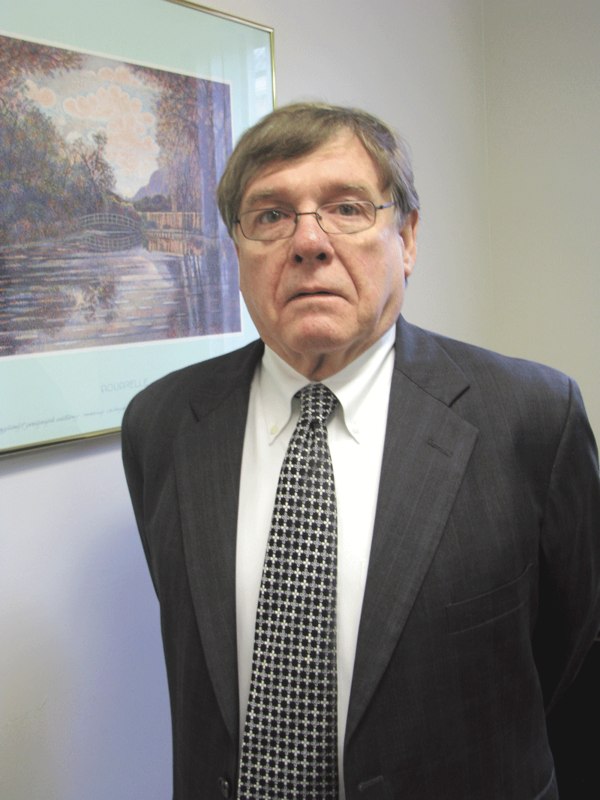 But even if the Westfield court remains open, the bottleneck created by unfilled positions and an unrelenting workload will impact people on a number of levels, said Kevin Maltby, an attorney with Springfield-based Bacon Wilson, who handles large amounts of probate work. 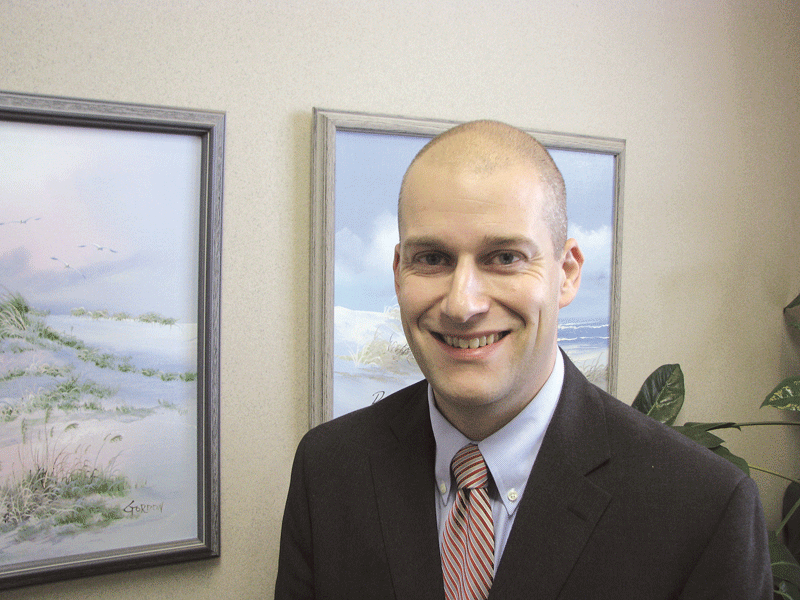 In response to the crisis, the bar association and individual attorneys are stepping up through pro-bono work, much of it aimed at reducing the number of pro-se cases currently clogging the courts, said Kenefick. These efforts are making a small dent in the logjams, but significant steps are needed to bring a needed measure of relief. All the attorneys who spoke with BusinessWest went out of their way to commend those who are still left working in courthouses across Western Mass. They used strong words and phrases to describe what they consider Herculean, but also Sisyphean efforts to keep the wheels of justice turning, albeit slower than most everyone would like. Said Maltby, “everyone wants to be able to point the finger at the courts. But if they can’t hire the bodies they need to go through the amount of paperwork that gets filed there on a daily basis, there’re nothing they can do about it. “Judges can’t be in two places at once,” he continued, adding that the cutbacks are forcing justices to often shuttle back and forth, with their commuting time further limiting their ability to get work done. The situation is summed up in a recent CJAM edict concerning changes in the schedules for public office hours at the courts. The order to close those offices at 4 p.m. and use the time to catch up on paperwork is designed to help reduce delays, although those we spoke with are rather skeptical about that claim — and Thomas Moriarty, Hampden Register of Probate, is defying the order, noting that he won’t deny the taxpaying public access to justice. Quantifying the broad problem, at least from a dollars-and-sense standpoint, Kenefick noted that there has been an overall budget reduction of $85 million over the past three years, requiring implementation of a hiring freeze, among other steps. Overall, the Trial Court has lost 1,167 people statewide, which translates to a 15% reduction in staff. There are currently 13 judicial vacancies statewide, and eight in Western Mass. alone, Kenefick continued, adding that the hiring freeze has put the remaining judges in a position where they’re often typing their own decisions because there are no clerks or secretaries able to do it for them. Complicating matters further, he continued, is that the crisis comes at the same time legal aid programs are being slashed to the levels they were at 10 to 15 years ago, to roughly $300 million nationwide, said Kenefick, adding that the net effect of these various factors is a serious impact on overall access to justice. And this phenomenon has a number of manifestations, said those we spoke to — from those agonizing waits for decisions to use of the clogged courts as leverage to gain desired ends. This latter consequence can be seen in divorce cases, said Ellen Randle, an attorney with Springfield-based Bulkley Richardson and Gelinas Inc. and head of the firm’s Domestic Relations Department, noting that some attorneys and their clients are taking full advantage of the difficult circumstances. Meanwhile, the logjams in the courts are prompting more parties to look closely at alternative dispute resolution (ADR) options such as mediation and arbitration, as well as limited-assistance representation, in which an attorney takes part of a case — thus reducing the cost to the client — with the goal of moving matters through the process more quickly and easily. However, many individuals, especially pro-se litigants, are often not aware that such programs exist, or have limited direction concerning them, which adds to the problem, said those we spoke with. In response to the growing bottleneck, bar associations and many individual lawyers are doing their part through limited-representation work and various forms of pro-bono work, said Kenefick, noting that these initiatives are having an impact. “We try, as a bar association, to provide support services, and they are helping in many ways,” he said, adding that initiatives range from a panel dedicated to helping victims of the June 1 tornadoes to a host of legal-aid programs, to initiatives designed to help with the rising tide of pro-se cases, many of them spawned by the recession and its aftereffects. 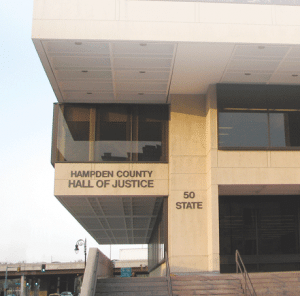 Beyond such efforts, Randle, who’s taking part in many of them, offered the hope that attorneys across the region will recognize the scope of the problem facing the judicial system and those it serves and commit to putting their efforts toward mitigating the problem by working to revolve matters outside the courtoom. Those who can’t stay out will likely wind up playing the waiting game, said Sorrentini-Velez, adding that the bottlenecks in the courts are essentially forcing people to put their lives on hold, and very much against their will. Kenefick and others said efforts on behalf of many lawyers are helping to keep a bad situation from becoming even worse. But all those we spoke with expressed real concern about the fact that there appears to be no relief on the horizon, and said the outlook for the courts, and the people served by them, looks very bleak unless lawmakers in Boston take steps to end the hiring freeze and properly fund the judicial system. In other words, it may be some time before there’s anything approaching an end to the crisis in the courts.